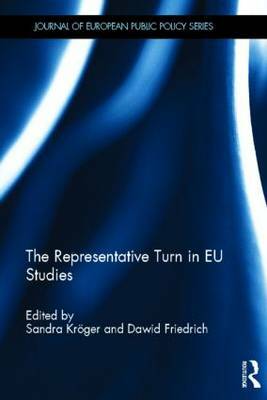 After the participative and deliberative turns in both democratic theory and EU studies, we are currently witnessing a `representative turn' to which this volume contributes by addressing the relation between representation and democracy in the EU. Although in the Lisbon Treaty the EU conceives itself as a representative democracy, the meaning of this concept in a supranational polity is far from clear - either in theory or practice. Instead, the historically contingent link between representation and democracy is today severely challenged by various processes of diversification at all levels of political action (national, regional, supranational). These processes challenge our understanding of representative democracy as involving electoral democracy within clearly delineated nation-states, provoking a situation in which `new frontiers' of representation develop. Consequently, it becomes increasingly difficult to provide normative standards as well as accurate assessments of democratic representation in the EU. This volume addresses these core challenges of representative democracy in the EU from normative, theoretical and methodological perspectives.